When does no change constitute big news? When a major corporation delivers a firm riposte to the Politicization Of All Things, even if that delivery didn’t absolutely positively get there overnight. After a number of companies cut ties with National Rifle Association members by eliminating discounts, Memphis-based FedEx announced today that it also opposes the NRA’s policy positions. However, the carrier refuses to change its discount policies, saying they value their customers for more than just their politics. FedEx Corporation’s positions on the issues of gun policy and safety differ from those of the National Rifle Association (NRA). FedEx opposes assault rifles being in the hands of civilians. While we strongly support the constitutional right of U.S. citizens to own firearms subject to appropriate background checks, FedEx views assault rifles and large capacity magazines as an inherent potential danger to schools, workplaces, and communities when such weapons are misused. We therefore support restricting them to the military. Most important, FedEx believes urgent action is required at the local, state, and Federal level to protect schools and students from incidents such as the horrific tragedy in Florida on February 14th. 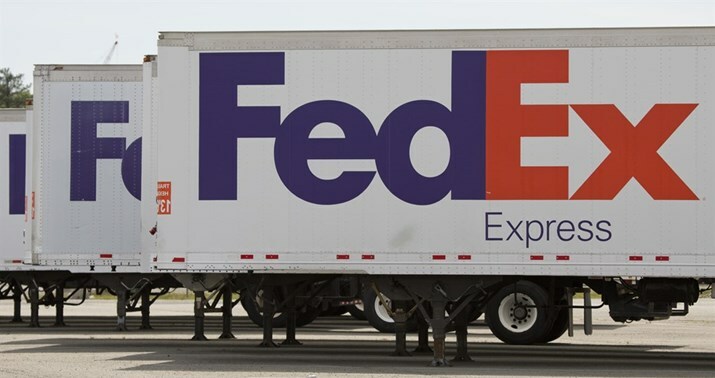 FedEx is a common carrier under Federal law and therefore does not and will not deny service or discriminate against any legal entity regardless of their policy positions or political views. The NRA is one of hundreds of organizations in our alliances/association Marketing program whose members receive discounted rates for FedEx shipping. FedEx has never set or changed rates for any of our millions of customers around the world in response to their politics, beliefs or positions on issues. Maybe both sides can call this a wash. The original ban didn’t do much better, opting instead for arbitrary choices that nevertheless didn’t have any real impact on crimes involving long guns, which continued to decline long after the ban expired. They also want large capacity magazines banned — some states have done this already — without explaining what capacity makes them “large,” and why their misuse is somehow more deadly than the misuse of other magazines. Perhaps it would be better to focus on the misuse, no? Still, even with all of those caveats (or perhaps better described as virtue signaling), FedEx refuses to dump its NRA discount program just to satisfy political activists. That’s laudable, and surprising, too. How often do customers invoke the NRA discount? I’ve been a member for several years and never knew it existed, nor was I aware of other such discounts for rental cars, hotels, and so on. If FedEx closed up its discount program without mentioning it, it might have been the proverbial tree in the unattended forest. That makes their public position on keeping the program even more impressive. That’s not the only pushback on the NRA-discount front today, either. Delta, which is headquartered in Atlanta, is reportedly seeking state approval to restore a sizable fuel tax break that expired several years ago. The airline is one of several national corporations to end business partnerships with the NRA in recent days following a mass shooting at a Florida high school. Perhaps a better question is why that tax break existed at all, a question which could lead to a truly conservative approach to taxation by eliminating all such breaks and charging taxes on a flat rate for all businesses and individuals. It’s hardly conservative to conduct social engineering via the tax code or by threatening legislation no matter which direction that social engineering takes. Although most conservatives will cheer this particular threat from Cagle, it’s yet another demonstration of the crony capitalism that our tax and regulatory system perpetuate. And yet, it’s tough not to cheer Cagle’s statement. The media and corporate worlds have gone far overboard into “othering” millions of lawful gun owners who have nothing to do with mass shootings, both inside the NRA and outside of it. Punching back twice as hard sounds pretty attractive after the hysteria and hatred unleashed over the last few days. That’s why FedEx’s example of engagement and inclusion deserves to be highlighted and praised. M Scott Eiland · Maybe Delta should have been clever enough to make sure its taxpayer funded goodies were secured before commencing economic warfare on Americans exercising their First and Second Amendment rights.